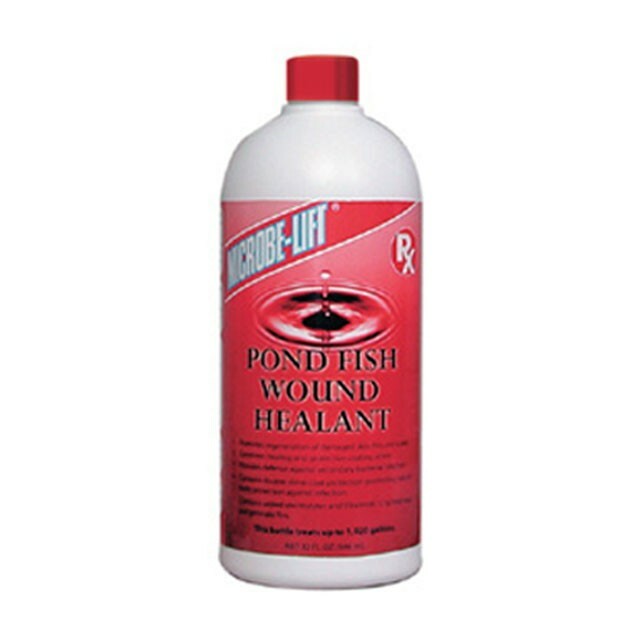 Microbe-lift Pond Fish Wound Healant promotes regeneration from damages to skin, fins and scales. Combines healing and protective coating action with fast results, especially when treating shredded fins, cuts, scratches and/or abrasions from rock and gravel. Provides protection against secondary bacterial infection. Contains double slime coat protection promoting natural defense against infection plus added electrolytes and Vitamin B-12 to help heal and regenerate fins. Can be combined with Microbe-lift treatments for parasites or fungus to help repair damaged tissues. For symptoms of missing scales, damaged skin, sores or torn fins, add once oz per 60 gallons of pond water.